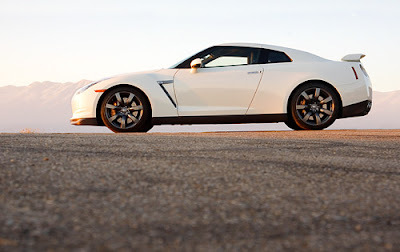 Beijing News reported that Nissan would start selling its GT-R in China for 1 million yuan ($147,000). Ren Yong, vice general manager of Dongfeng Nissan Passenger Vehicles Co., said the company will choose strong dealers in some key cities to sell the GT-R, given the highly demanding after-sales maintenance of the super sports car. The import of the GT-R in China will be as a halo car for Nissan. Nissan has seen its sales slip as it focused on Infiniti sales in China. Finally a real car coming to China ! This will show the Chinese what cars are all about. It's not a shiny black box to shoe your neighbours, but a way to enjoy life. Not really. There are no good roads here, there's always traffic, and there are 1.3 billion people here and half of them are on bicycles that do not need to follow any traffic rules. I drive very aggressively and I'm usually passing everyone on the road. Still, my BMW says I average 13.2 MPH! So ALL super cars here is still all for show.